One of the few genuine leather ligatures. This Vandoren ligature and cap set fits most ebonite or plastic alto sax mouthpieces. The ligature comes with three interchangeable plates, one metal and two leather, to give you the set up of your choice. 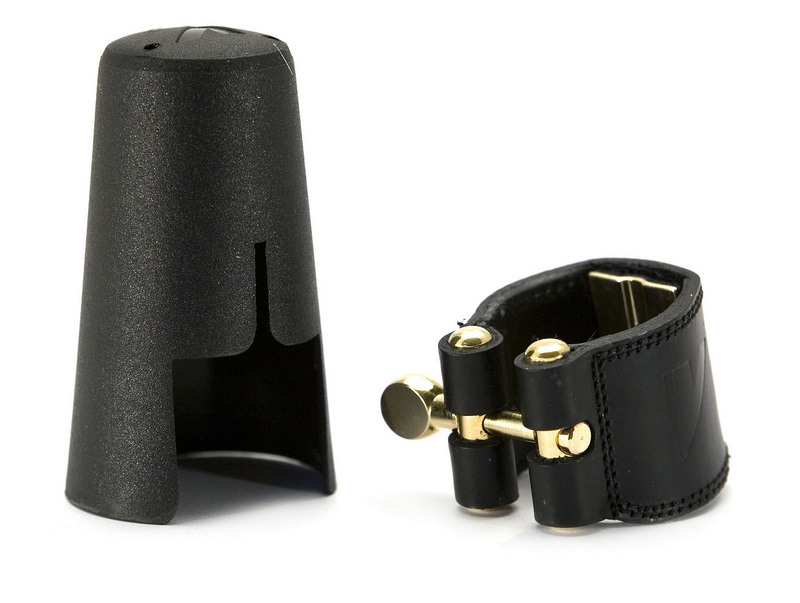 This leather set has a warmer darker sound than the standard metal optimum ligature. Supplied with plastic cap designed specifically to fit over this broader leather ligature.